Cortana's Cyanogen integration will debut in December. After several months of beta testing, Microsoft's virtual assistant Cortana is officially making her debut on competing platforms. You'll be able to snag the Cortana app for iPhone and Android phones on their respective app stores, or via Microsoft's Windows 10 companion app, starting today. It'll also be deeply integrated into the Cyanogen OS-powered OnePlus One come December (with the 12.1.1 Cyanogen update). 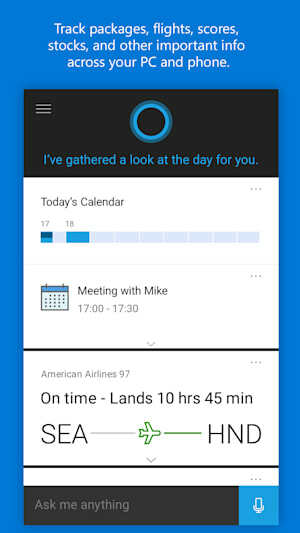 If you've been following along with the Cortana beta releases, there won't be much new with these finalized apps: At the most basic level, you'll be able to track reminders and notifications for things like flights and packages across all platforms, as well as manually ask Cortana questions. Beyond that, Cortana's feature set will be different for each platform. On Android, you can use the "Hey Cortana" command to shout questions when you're in the app or on your home screen, and you can even get text notifications sent to your Windows 10 PC. Unfortunately, those are features iPhone users probably won't see for a while, if ever, since Apple likely won't open up iOS enough to make them possible. As for Cyanogen, Cortana will be pre-installed and you'll be able to use the "Hey Cortana" command just about anywhere, even if you're in another app. You'll also be able to use the virtual assistant to do things like changing network modes, powering down your phone and going into silence mode. It's not quite as extensive as Cortana's Windows Phone capabilities, where it has access to a wider variety of settings and can even open and close apps, but it's close. "It's been a fascinating experience to learn how you think about a personal assistant that runs across multiple platforms," said Marcus Ash, a program manager at Microsoft who's been heading up the Cortana iPhone and Android effort. Microsoft has been working since March to port Cortana, and while Ash's team was able to take some notes from other teams that have built cross-platform apps, like the folks behind Office, OneDrive and Skype, this particular project presented entirely new challenges. For example, it's still unclear how it'll update the apps going forward, since they do very different things on each platform. Unfortunately, the Cortana apps will only be available in US and China at launch. As with Cortana on the desktop, it'll eventually make its way to other territories. 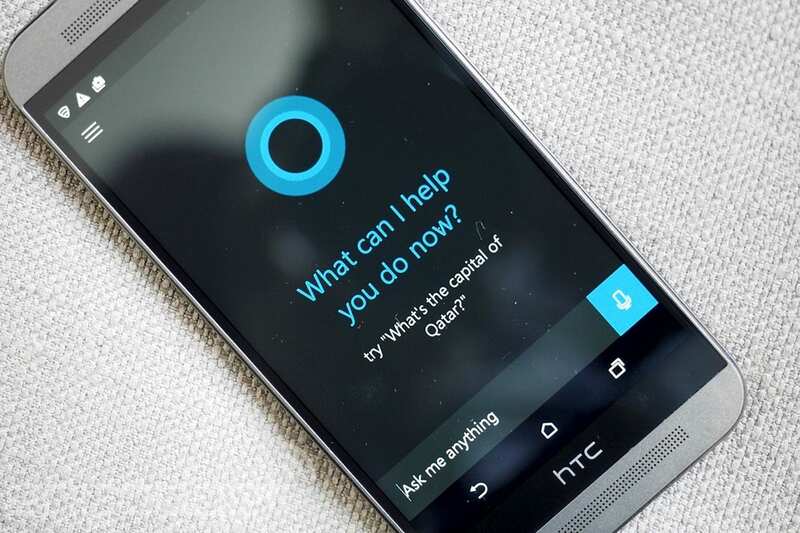 You'll need a device that's running iOS 8 or Android 4.1.2, at the very least, to run the Cortana apps.